What will you find as you venture into Earth�s shoals? In The Strange, recursions�limited pocket dimensions with their own laws of reality�are seeded from human fiction and mythology. A recursor might discover Atlantis, Oz, the Victorian London of Sherlock Holmes, or places even more bizarre and perilous. 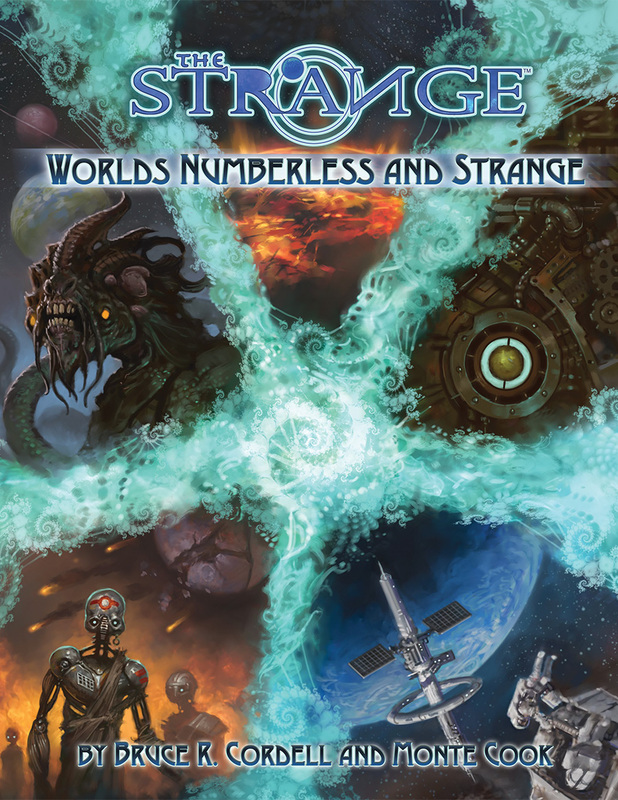 Worlds Numberless and Strange takes you to dozens of new recursions, where supervillains, dinosaurs, space troopers, killer robots, gods, and other dangers guard wonders and treasures few people on Earth have ever seen!